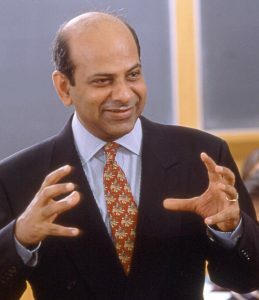 Prof. Vijay Govindarajan (popularly known as VG) has been teaching at the Tuck Business School of Dartmouth College for many years now. VG has an India connection; he was born and brought up here. 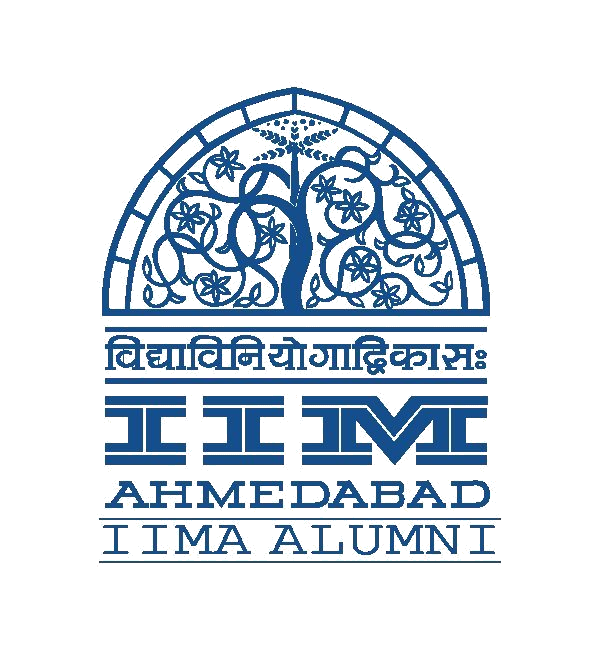 In some ways more relevant for THE WIMWIAN audience, VG has a strong IIMA connection, he taught there during the mid-70s and his brother V. Rangarajan (very unfortunately no more) was a PGP ‘73 graduate! Though living and working in the US for the last several decades, VG has deep roots in the Indian culture and tradition. For example, this book “THE THREE BOX SOLUTION” (TBS) is dedicated to his grandfather, Tagore Tatha (a pious Iyengar brahmin as depicted in the photograph in the beginning of the book). VG also draws a strong analogy between his 3-box framework and the Indian “trimurti” – Brahma (the creator), Vishnu (the preserver and the nurturer), and Mahesh or Shiva (the destroyer). A very lucid description of this analogy is provided on pages 14 and 15 of the book. His contention is that for any organization to effectively function, particularly in an innovative mode to take on the unavoidable vagaries of time, due importance must be given to creation, preservation, and destruction (in a cyclic manner) within the dynamics of past, present, and future. It has been said that a true management guru synergistically combines research, consulting, and teaching. It is very evident that VG has diligently followed this paradigm and the book has several case studies to illustrate this. Among the companies studied and mentioned in the book are (in no particular order) – Hasbro, IBM, United Rentals Inc., Willow Creek Community Church /Association, TCS etc. There is a rather detailed study and analysis of the Mahindra group which transformed itself from a “me too” organization to one with world-class products and processes strategized under the leadership of Mr. Anand Mahindra, a Harvard MBA. With the application of the TBS approach to such diversity of organizations in terms of geography, size, business domains, and leadership styles, VG demonstrates that the approach devised by him has pretty much universal appeal. Inter alia, VG has coined a very evocative phrase – “Planned Opportunism”. This depicts flexibility in forecasting and meeting the challenges emerging due to the changes in a given organization’s environment (usually understood through the pneumonic – PESTEL). 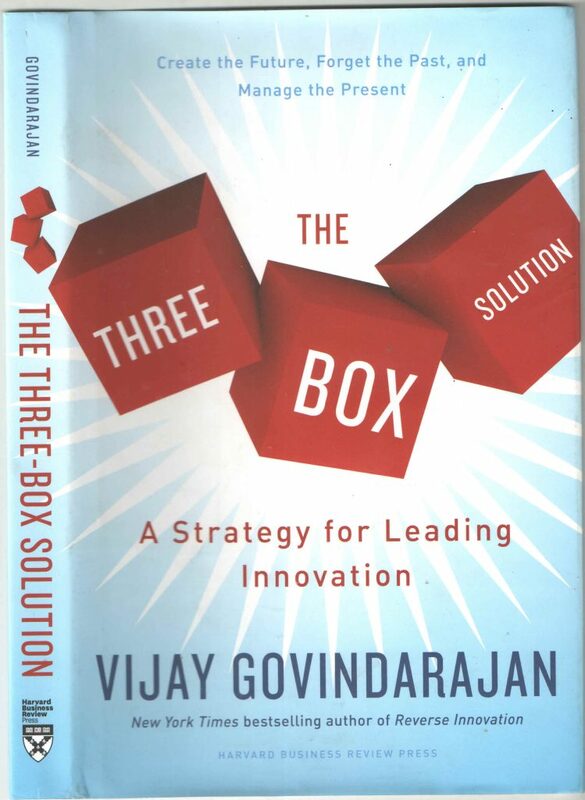 Very briefly, Box 1 relates to managing the core business in the present; Box 2 relates to learning from the past and utilizing those lessons; and Box 3 focuses on innovation and generating new ideas for the future of the organization. The book has a very usable design with “Takeaways” and “Tools” at the end of each chapter and highlighting of prominent concepts through the use of side-bars. 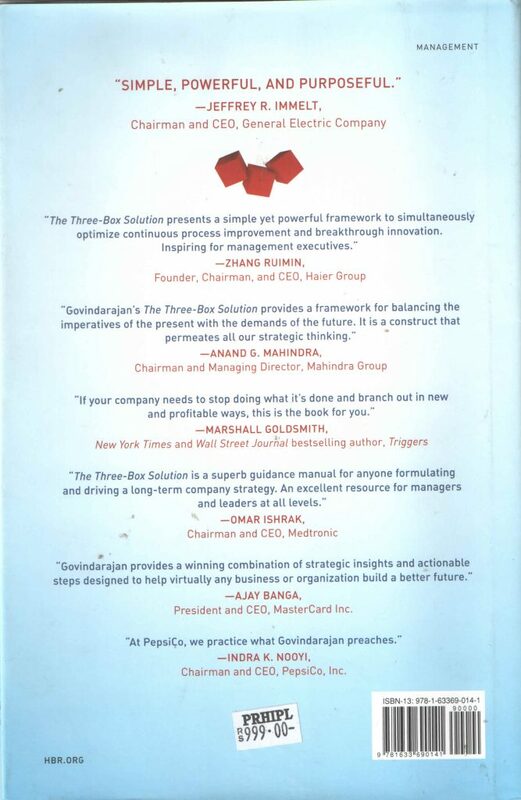 In praising this very powerful and practicable book, I am in exalted company : Indra Nooyi of PepsiCo, Jeff Immelt of General Electric, Anand Mahindra of Mahindra Group, Brian D. Goldner of Hasbro Inc, Rama Bijapurkar – our own eminent IIMA alumna…. all have found the book to be of great interest and use. Why all this praise? Please read the book and judge for yourself!